Dr. Rabi’s enthusiasm for dentistry began during high school when he lived in Orlando, Fl. He would spend his summers working in his uncle’s dental office. Dr. Rabi obtained his Bachelor of Science Degree in Biology at Nova Southeastern University and his Doctor of Medicine in Dentistry at the University of Florida. 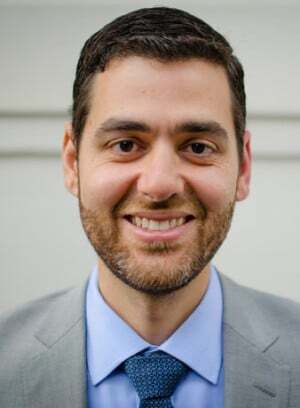 After seven years of private practice as a general dentist in Orlando and teaching part-time at the University of Florida, Dr. Rabi chose to further his education and was accepted to the University of California, San Francisco for residency in his greatest passion; Endodontics. In his spare time, he enjoys outdoor activities such as cycling, skiing, scuba diving, and exploring the city with his wife, Michelle. A: Very relaxed. We’re going to do everything we can to make the procedure as pain free as possible. A: There is nothing like your natural teeth. A: I love to play drums!